A selfie of my shadow. I haven't done a selfie since June, despite wanting to do one weekly. Ooops! I should get back to that. This was a fun one to take on my way back from a run. 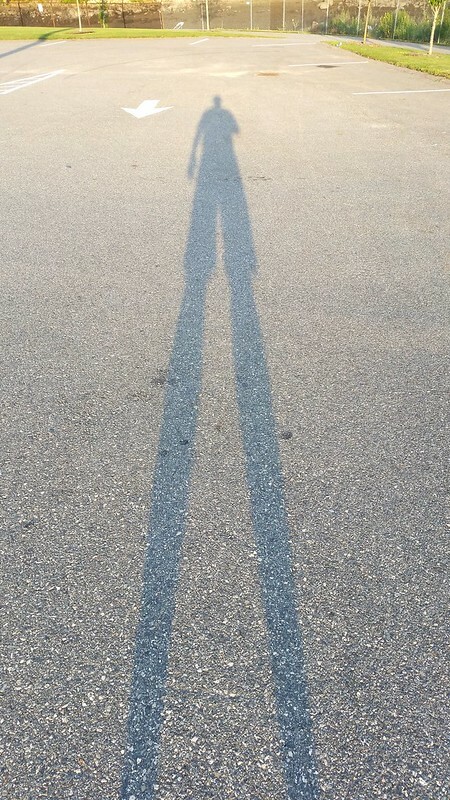 First, it makes me feel like I'm 100 feet tall and who knew my legs are so long. With legs like those, you'd think I'd run faster. This shadow has a fun-house feel to it but that's what comes of taking photos in the early hours of the day. I wish I was more awake and aware when I took it. I would have moved over a bit and had the arrow either pointing down at my head or do something else creative using what's on the ground. Next time, I suppose.